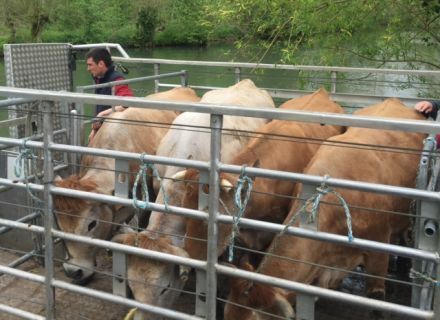 Home / Le blog / Real moment of freedom on the water for these cattle! Real moment of freedom on the water for these cattle! For all those who still take advantage of these beautiful and soft Easter holidays, you can admire from now on our cows graze on their new lands! 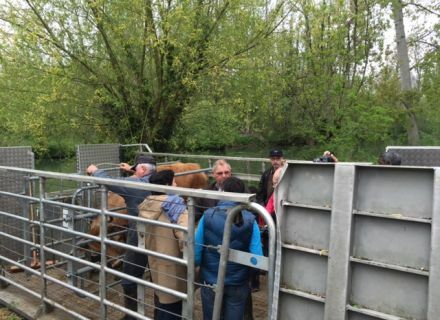 Here I am to tell you the wings of this at least local and typical event which offers to us our so beautiful region: the putting in the grass of the cattle by boat! Ideal to discover something at the same time of unpublished work and unusual in family, at the heart of the Swamp from Poitou. You will not see that can be that only once and I I was lucky to be a member of it! That's it, it is the big day, they wait for that for a long time with impatience! Indeed, it was in the friendly and nice atmosphere that more than 150 cows joined lands which are isolated and unattainable by the road. 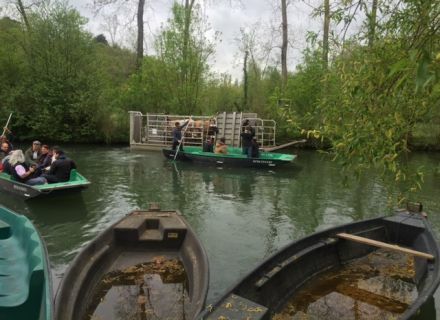 Cows had to be transported on the water by means of a barge livestock transporter up to their new meadows between Coulon, Garette and Magné, what is not always easy! Then, do not miss the meeting next year! If as me, you like the nature, do not hesitate any more, because it takes place only once a year. 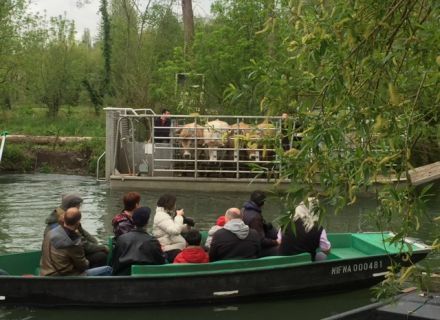 Thanks to small traditional boats of the swamp, you can follow cows on their boat and it is true until their routing on dry land: a playful and considerable way of taking advantage of the famous wet swamp. 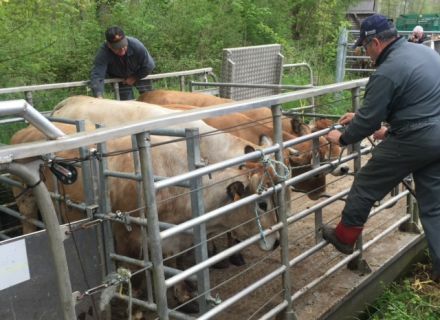 And you will maybe have the opportunity to rise on the barge with cows to be as closely as possible to these animals in this frame simply natural. An inevitable and outstanding event to spend a pleasant moment In family surrounded with animals.